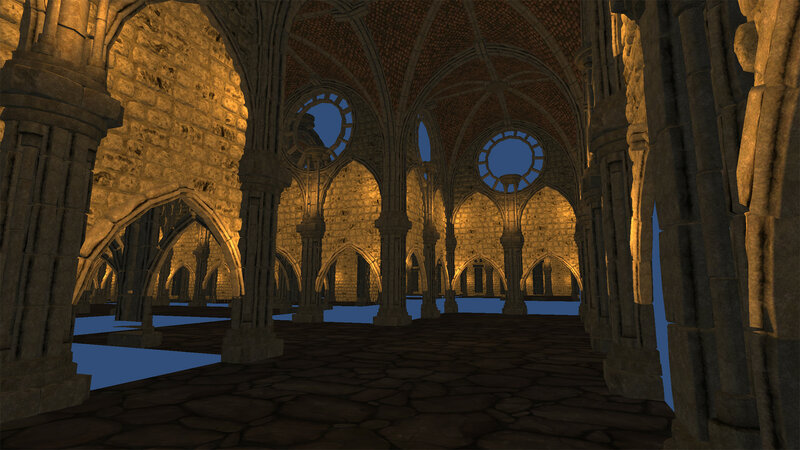 This Cathedral was made as part of my BFA thesis on game design, level design, and environment art for creating virtual worlds. This is a second more complete modular cathedral set. I made this as a study on modular environment building as part of my BFA thesis. 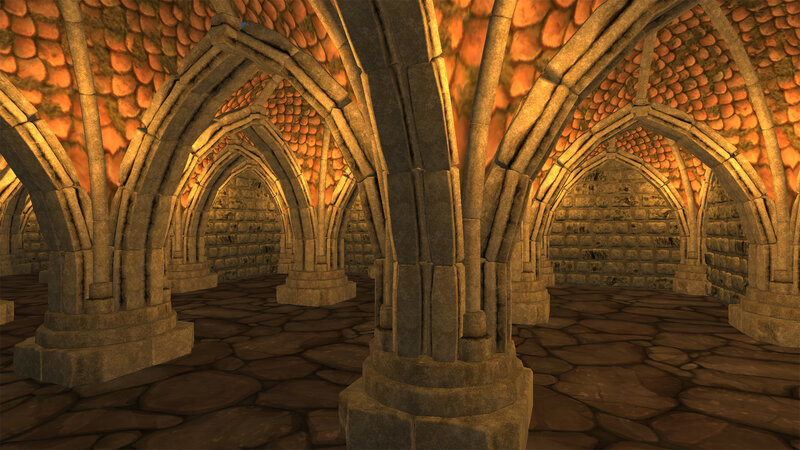 This set can be used to create any cathedral type building with 3 different vaulted room sizes, from a small undercroft to a giant nave. 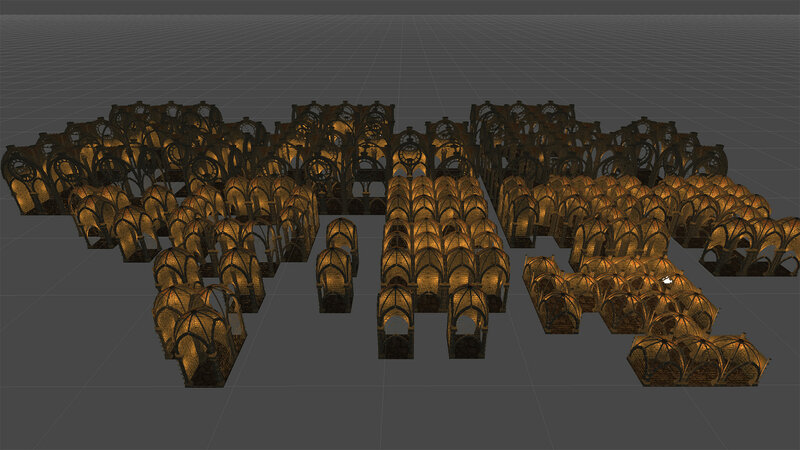 I also was experimenting with DirectX 11 tesselation shaders in Maya and Unity3D. You can find my thesis here: http://blur.by/1aeisbf. 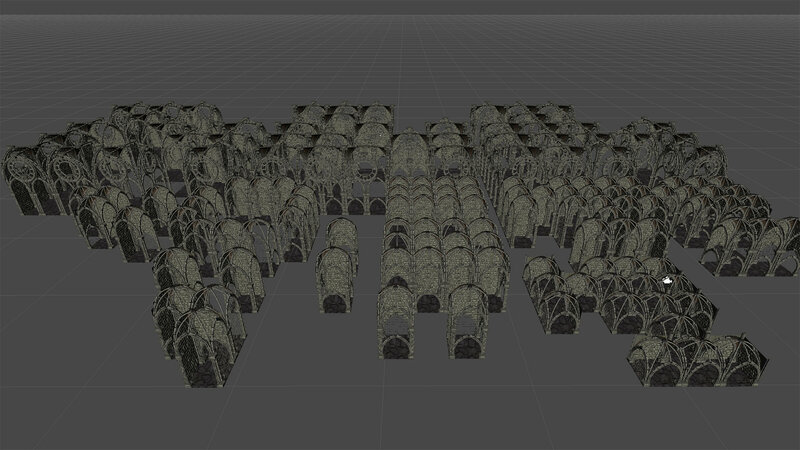 Here, the complete set is shown unlit and with sample lighting. The small room is shown above and the large room with walls to connect to the small room is shown below.